Residents’ worries over pesticide use by a mosquito-control district in Rutland County have Vermont Law School clinicians asking the state to hold off on issuing a permit allowing application of chemicals that kill adult mosquitoes. Some residents who live within the Brandon-Leicester-Salisbury-Goshen-Pittsford (BLSG) Insect Control District say the “adulticide” chemicals the district applies are powerful nerve agents that can cause developmental disorders and other maladies in humans. They’re seeking greater restrictions on the use of pesticides such as malathion and permethrin in the district. Bailey has an organic garden, and he raises meat- and egg-producing chickens, he said. His wife’s immune system is compromised, and their grandchild summers with the couple during the months when the pesticides are applied. Children and people with compromised immune systems are among the most susceptible to the pesticides’ harmful effects, he said. The man who heads the district, a dentist named Dr. Benjamin Lawton, says there have been dangerous mosquito-borne illnesses found within the district’s borders, and added that tourists and residents rightfully expect not to have to contend with the annoying insects. The district includes a floodplain covering thousands of acres, and Lawton said it’s a notoriously fecund breeding ground for mosquitoes. There are mosquito-control methods available that don’t require the chemicals that are raising concerns, Lawton said, but they’re very expensive. The permit being sought by the insect-control district is issued by the state Department of Environmental Conservation’s surface waters program, but the Agency of Agriculture, Food and Markets has chief authority over pesticides, said the DEC’s Misha Cetner. Cetner’s program, on the other hand, is concerned with water pollution, and the effects of water pollution. If pesticide use results in harm to Vermont’s public waters, this permitting program “allows the DEC to have some compliance pushback,” he said. A person or entity seeking a pesticide application permit must provide some public notice of spraying and provide a plan to deal with the effects of discharging the pesticide into state waters, Cetner said. The Agency of Agriculture’s agrichemical management chief, Cary Giguere, said the agency currently regulates larvicides, but not pesticides designed to kill adult mosquitoes. Use of the adulticide chemicals is limited to the Rutland County insect-control district, though landowners can buy the chemicals at a hardware store and use them privately. The contractor who actually sprays the adulticide must be licensed by the Agency of Agriculture — meaning that person must demonstrate the ability to properly apply the substances — but the district itself currently doesn’t need to request a permit to apply adulticide, Giguere said. Insect control districts (of which there are only three in Vermont) must currently obtain permits from the Agency of Agriculture to apply the significantly less-toxic larvicide treatments that are used in all three of the state’s insect-control districts, he said. In response to concerns the agency received recently from within the Rutland County district, the Agency of Agriculture is likely to begin drawing up adulticide regulations this summer, Giguere said. But Vermont Law School professor Mason Overstreet and VLS Environmental and Natural Resources Law Clinic clinician Rachel Hanson say that while it’s great news the Agency of Agriculture may begin regulating adulticide, the DEC can do so right now under the permit it’s about to issue. Overstreet said that the permit directly addresses water quality, but said it’s meant to protect human health as well. Cetner said he’s asked VLS staffers and clinicians to meet with DEC and Agency of Agriculture officials on Tuesday to discuss jurisdictional questions like Overstreet and Hanson have raised. Last summer was particularly bad for mosquitoes — probably the worst in at least a decade, Lawton said, and while his district was forced to apply adulticide as often as twice a week, during less virulent summers it’s required as infrequently as a couple of times over an entire season. Ideally, adulticide wouldn’t be necessary at all, Lawton said, but that would cost significantly more money than the roughly $140,000 the Agency of Agriculture sets aside for grants each year to control mosquitoes. 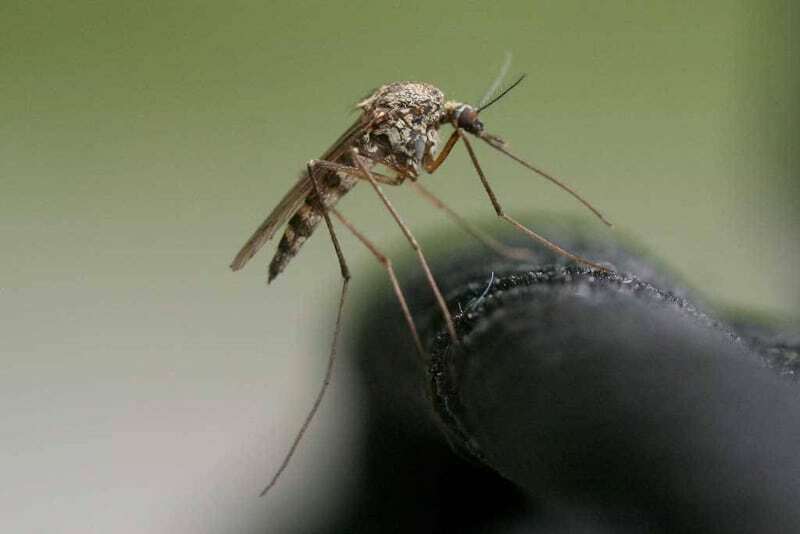 Mosquitoes are known to plague parts of Rutland County. Now pesticides being used to control them are causing concern.